For businesses that span the globe, it can be challenging to consistently and efficiently manage your dispersed and diverse workforce. UltiPro® offers multinational organizations a global HCM solution that helps simplify processes, manage people data, meet local compliance, and support the entire global workforce with one, centralized system. Connect your people around the world with information and resources they need to work more effectively. 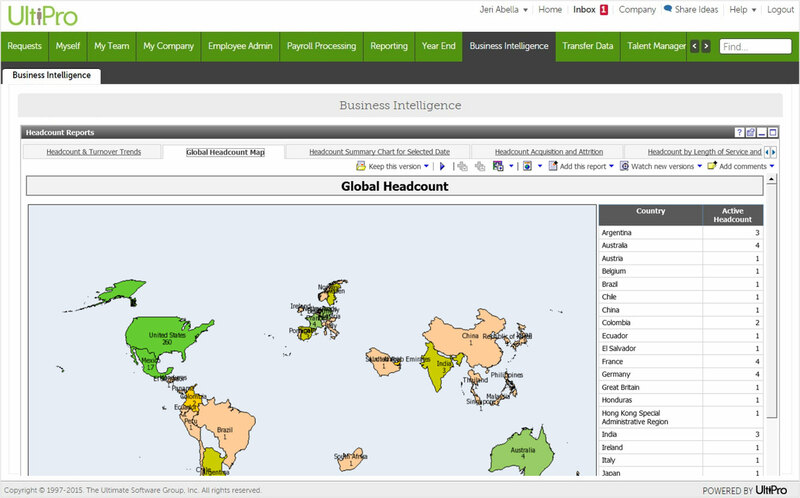 UltiPro’s global HCM solution comprehensively covers your HR, payroll, and talent needs, worldwide. Enhance the employee experience and keep your workforce motivated and engaged, no matter where they’re located.